Formulated with organic ingredients. Paraben Free - Cruelty Free Soothing formula for sensitive skin. This product was developed for use in the Florida Everglades, where biting insects can be particularly troublesome. Equally effective for use in the UK, when recent warmer summers have lead to larger numbers and longer breeding seasons for midges and horsefly etc. Ideal for foreign travel destinations. (See our LINKS page for info about DEET based formulae) Not only will this product deter insects of all kinds safely and without the use of toxic chemicals, it will also serve to soothe stings, scrapes and bites using a water based formula containing aloe and essential oils. 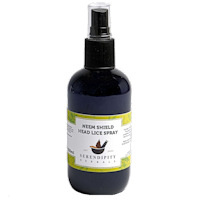 Herbal Outdoor Spray is Eco-friendly, safe for the whole family (including children), NO DEET, non-toxic formula. Easy to apply pump action non-aerosol spray. i am pleased with it, it is helping, I would get a few midges biting me but not to the extend I had before using this product. I also like the smell very pleasant, I would recommend this product. This is the ONLY product that my family and friends use to stop those nasty biting insects when we garden.Or go for walks in the countryside. We could not be without the spray. Fantastic and works for us 100%. Lavender oil works for me to keep midges away, but nothing kept the New Zealand sand flies off my ankles and legs, and as I have two families over there, I am a frequent visitor. 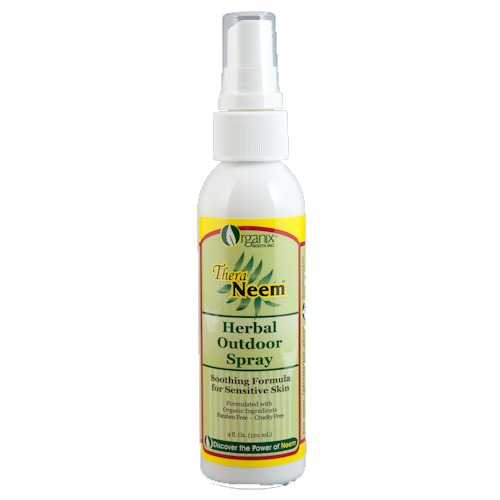 First I found pure Neem oil, then I found your wonderful Neem spray. Even the various local products fail to stop the bites, the itching, the constant sores,. But your Herbal Outdoor Spray does. I now use it for midges and other home grown pests too. Whilst I find lavender oil effective against most insects, including the Scottish midge, nothing I used stopped the New Zealand sandfly. I spend quite a bit of time over there with the families of two sons , and the irritation caused by these little horrors sometimes caused swelling as well as irritation. Even the products made over there to prevent sandfly bites were ineffective for me, so I like to be well prepared . It is easier to use than the neem mixed with citronella oil. Brilliant! I went to Cuba, where rather surprisingly mosquitos don't seem to be a problem. I found that I had forgotten to pack my aftersun cream, and since this had neem and aloe in it, I thought it was worth a try as aftersun. It seemed to work - I haven't peeled. Best product I've found for avoiding middgy bites! After being bitten about 20 times one weekend, I searched desperately online for something to help. I came across this product and ordered it, hoping that it would do the trick but not convinced having tried so many other products in the past. However, I have to say that it is fantastic! Weve been out in the garden most evenings and only one midge bit since I started using this. I spray it on my arms and ankles and lower legs in the morning and it seems to keep the midges at bay. What a huge relief! I highly recommend that you give this a try.